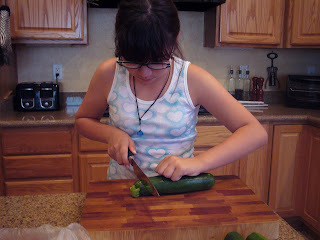 Sabrina has graciously agreed to be my substitute host for this weeks Vindicate The Veggie. 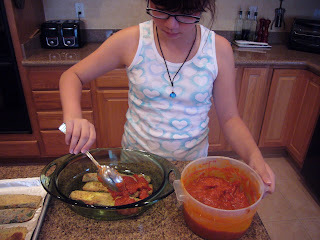 The theme for this week was freestyle - and the market had exceptional zucchini yesterday, and since Sabrina loves fried zucchini chips, we decided to take this one step further and use up the leftover marinara sauce in the fridge. 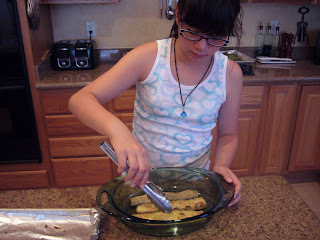 First, slice the ends off of the zucchini and slice them lengthwise into about 4 strips. 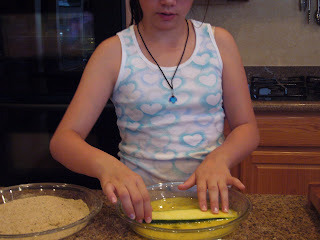 Instead of frying the zucchini, she put the slices onto a well-greased baking sheet and baked it at 425 degrees until it was golden and just starting to get crispy. 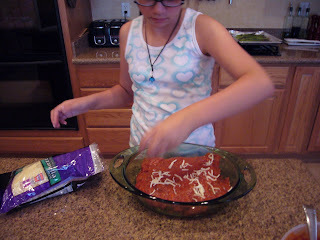 Then layer the slices into a greased casserole pan, and alternate the slices with the marinara sauce. Top off the sauce with a bit of mozzarella cheese. Bake in a 400 degree oven until hot and bubbling. 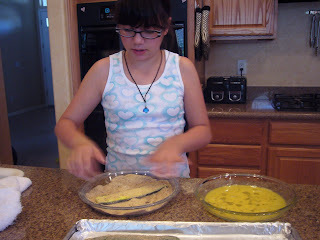 Sabrina here: This is so great - I burned my tongue on the hot cheese - but I can't wait to eat more! 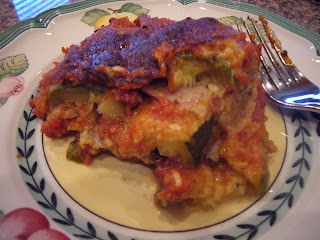 I love zucchini this way but it's even better with the sauce! !